"Allies for Everyone was a solo project of mine. I wanted to be able to do as much during live shows as I do on the studio tracks, so I asked Arvin to join me. He brings a great energy to the show, and we quickly found out we work well together offstage too. Having someone to bounce ideas off and push tracks further than I might have done solo is amazing. We are having a great time and the music just keeps getting better." Allies For Everyone is a startling departure into a land of lush, layered, and disturbingly infectious musical complexity, a new sound that will be a friend to both your days and nights. Allies For Everyone has that rare ability to command a dance floor while simultaneously pulling at your heart strings. It's dreamy electro pop with a wash of deep house, creating a sound that's as sultry as it is breezy. The title track "Scavenger" is made up of a driving rhythm and percolating keyboards, which underscore the tale of someone who has made an enemy out of everyone they know. "Move When I Run" has a captivating deep house bassline, with an overlay of luxurious sounding vocals. Their live performance is an engaging aural experience, featuring Brian on vocals, keyboard, samples and effects, and Arvin on backup vocals, live arrangements, triggering, and drums. Their sound is evocative of the deep house movement that's sweeping the nation, heard through artists like Junior Boys, Benoit & Sergio, Wolf + Lamb, Bag Raiders, and Jamie Jones. Comparisons have also been drawn to artists such as Pet Shop Boys, Kelley Polar and Fad Gadget, but in many ways, their sound evokes references to an array of artists without sounding like anyone in particular. It’s their penchant for slightly melancholic, introspective and melodic sounds that heavily recall the later golden age of synth-pop. Allies For Everyone created the soundtrack for the Elle Magazine Jean Paul Gaultier Retrospective featuring Coco Rocha remixing his own "Hour of The Wolf." 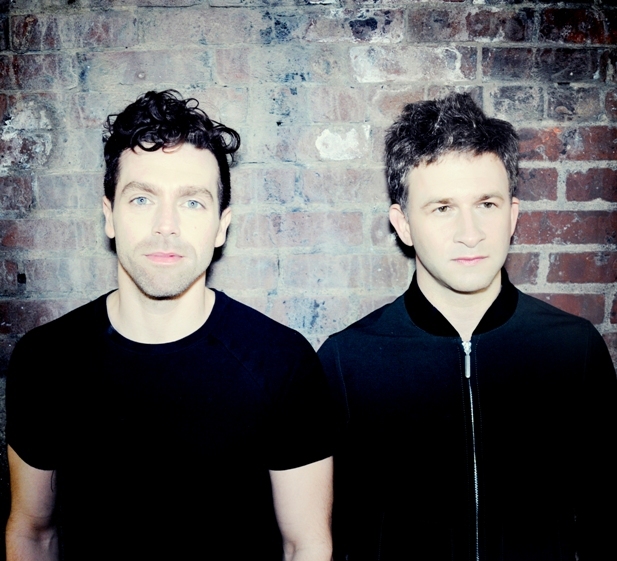 Earlier this year, the pair was tapped to remix fellow NYC-based electronic duo Automagic's new single "Iris" alongside Juan MacLean, Best Mate, and Richard Morel. Expect a string of live dates from the act to follow, as well as, the single release for the title track with accompanying video directed by Brian McAllister. Allies For Everyone are also offering up a free mixtape to groove your way into summer with. Download the mixtape HERE, and check out the tracklisting below.